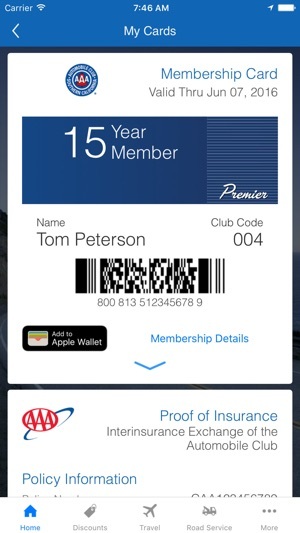 Auto Club Mobile improves on-the-go access to trusted Auto Club services including membership, insurance, travel, and roadside assistance. 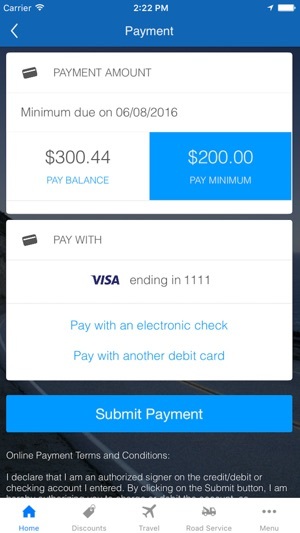 This mobile version also shows members Cheapest Gas, and Branch offices nearby. Started using this app in 2017 because my car has battery issues and I would use the app to request a jump start when needed. It was super simple, just open the app, set my location and then I could track the person coming to help. I loved that I never had to wait on hold or guess when someone was coming. Earlier this year I went out to my car and found it was dead, no problem just opened up the app... but to my horror they had “updated” the app and removed the only thing that actually makes this app worthwhile. Now it brings you to a page that just has the phone number on it. What’s the point of the app then? If you try to set your breakdown location it just says “connection unavailable” and prompts you to call. They apparently updated the app a few days ago to resolve this issue and I’ve deleted and redownloaded the app several times but it still brings me to the stupid phone number page. ADDITIONALLY they have taken down the online request on their website, it also brings you to a page that only has the phone number. This is ridiculous, why are we going back 20 years?? Please fix this, this app was seriously the best but then you removed the most useful feature. Today when my spare tire/donut came completely off the rim, I called AAA for a tow! The dispatcher told me it would be about one hour. I resigned myself to sitting on the side of a Busy Street, with my emergency flashers flashing, and my windshield wipers wiping away the rain and snow mixed precipitation on hat started falling about 2 hours earlier. I then received a phone call from the Tow company, the driver informed me he was about 30 minutes out. I verified my location and felt better about my wait time being cut I half! The drivers name GARETT HYATT, made it to my location not in 30 minutes but in 20! I was so happy, and he was glad that I was so pleased! I’m was crappy weather but Garrett had a great attention tire about his work, and admitted that he really enjoys the challenges and the help he can b to the stranded motorist! I hope I can request a driver if I ever (knock on wood) need another tow from Midwest Tow! Thank you AAA AND Midwest Tows driver Garett Hyatt!! So I’m on my mom’s renters insurance but I have my own policy # & pay for it myself for my truck. Why do I only see all of my mom’s policies & only my membership card on MY ACCOUNT? I shouldn’t be getting bill reminders for her policies nor be able to see all of her cards as well, we don’t even share the same membership # so I don’t understand y her cards & bill reminders are even there, if this was the case & your agents did a better job of explaining how things work with AAA I would have simply opened my own policy to avoid the hassle, now I’m stuck tryna figure out how to pull my info up instead of hers, y’all need to fix that that makes no sense my insurance card won’t even show up bc it’s not a week old? That’s dumb, this is inconvenient & upsetting this whole app needs to be redone... I never had this issue with infinity’s app or insurance for that matter my insurance card was available right after they took my money, I don’t know what’s up with AAA but they need to get it together bc this is RIDICULOUS! I’m highly UPSET! We're so sorry to hear that your membership and policy data are not accurately displaying in the app; that's understandably frustrating and it's not how we intend things to behave. We want to help you with this, but we need more information. Since this is a public forum, please don't disclose any personal contact information, but we'd like you to contact our membership and insurance service group at 877-422-2100. Their hours of operation are M-F 7am-9pm PT and Sat. 8am-5pm PT (Sunday we are closed). We would love the opportunity to assist you and resolve this issue. Thank you for being a valued member of the Auto Club.